In the last few years, the FDA has focused on increasing awareness of Nontuberculous Mycobacteria (NTM) infections associated with heater-cooler devices and the subsequent risks to patients in health care facilities. The FDA reports that there were 32 reports of infections associated with heater-cooler devices or bacterial heater-cooler device contamination between 2010 and 2015, but 25 of those cases came in 2015, so the occurrence is steeply increasing. Heater-cooler devices include water tanks that provide temperature-controlled water to external heat exchangers or warming/cooling blankets. 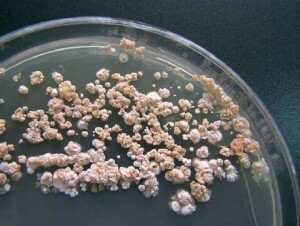 There is the potential for NTM bacteria to grow in a water tank in the heater-cooler units. Although the water in the heater-cooler unit does not come into direct contact with the patient, there is the potential for contaminated water to enter other parts of the device or transmit the NTM through the device’s vent(s) (or other small openings between the inside and outside of the water tanks) into the operating room environment. Water agitation inside the water tanks during heater-cooler operation may increase the potential for aerosolization of NTM bacteria. These devices are also notoriously difficult to clean and therefore are more likely harbor bacteria and the moist, warm conditions are optimum for rapid microbial replication. The FDA recommends testing the water, air and environment associated with these devices or other water containing devices. Testing for NTM in water is a very specialized analysis and needs to be performed at a qualified laboratory.